Is concrete machinery with Truck Monted on it. Together with Truemax as supplier to provide the needs of customer in Indonesia. We have Truck Pump 25m and Truck Pump 38m. 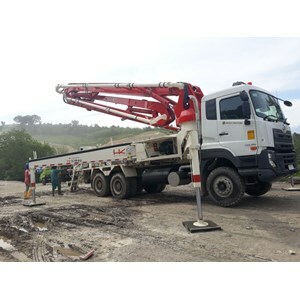 This machine is used to pump concrete from Truck Mixer to the destination for casting. 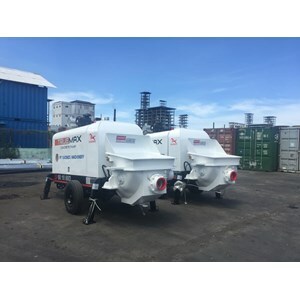 PT Sacindo Machinery together with Truemax as supplier provide the needs of customer in Indonesia. We sell concrete pump with type 50m3/h dan 90m3/h.